From Fallout to Death Stranding, these are the most exciting new trailers from this year’s E3 conferences. Another year, another round of E3 conferences filled to the brim with new trailers to get our hearts racing. Square Enix and EA may have disappointed, but where they faltered, Microsoft, Sony and Ubisoft more than stepped up to the plate. Even a flood of pre-show leaks couldn’t stop Fallout 76, Assassin’s Creed Odyssey and more from blowing us away. Read on to see the biggest trailers to come out of E3 2018. Fallout series is back, but not like we’ve ever seen it before. Following Bethesda’s early teases we finally got to see Fallout 76 in action and learn a little more about what form this online game will take. 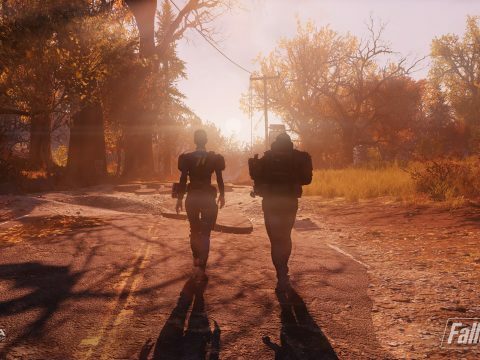 With a map supposedly four times the size of Fallout 4 and the ability to jump on a server with our friends, we can’t wait to dive into the surprisingly lush wastelands of West Virginia. Check out the extended gameplay footage from Bethesda’s conference if you’re hungry for more. 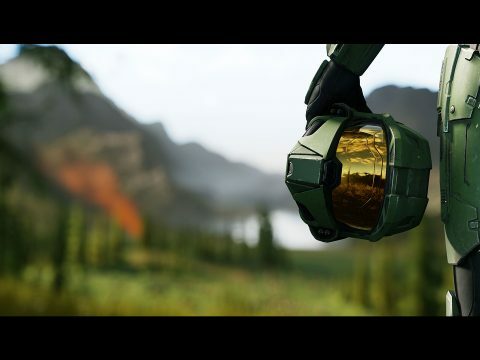 There’s a new Halo title on the horizon and it looks like we’re returning to the boots of the one and only Master Chief. The story seems to be following on from Guardians, with us hopping back onto another Halo ring. There’s no gameplay or release date to be seen, but we do know the game will be running on a brand new engine titled Slipspace and that it will supposedly take the Halo franchise in an all new direction. Could we see an open-world Halo game in the future? Either way, our nostalgia glands were pumping full force when the Finish The Fight theme kicked in. 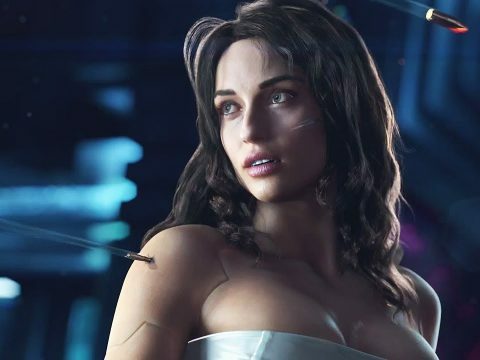 Easily the hottest reveal of Microsoft’s packed conference, Cyberpunk 2077 is the highly anticipated next title from CD Projekt RED, the studio behind the Witcher games. Described as a First Person RPG, Cyberpunk 2077 takes place in the dystopian tech-future of Night City. Home to ruthless megacorporations, criminal gangs and impeccably outlandish fashion, Cyberpunk already has us begging to enter its neon world of cybernetically enhanced humans. A new IP from Dark Souls and Bloodborne creators FromSoftware, Sekiro: Shadows Die Twice looks set to bring us some incredible and acrobatic samurai combat. With a modified arm able to be used as a grappling hook or weapon, Sekiro’s fights look fast, fluid and challenging. Gone are the stats, levels and bonfires of Souls, subverting nearly everything we’ve come to expect from the studio and putting a renewed emphasis on sword-clashing duels. We’re eagerly awaiting more details to see just how FromSoftware approaches the action-adventure genre. The Kingdom Hearts storyline can often seem incomprehensible to those of us outside the loop, but it’s hard to deny the appeal of so many Disney franchises under one roof. Bringing together the worlds of Frozen, Tangled, Toy Story, Monster’s Inc and more, Kingdom Hearts 3 looks nothing short of a feast for Disney fans. Those invested heavily in the story are already flooding the internet with speculation as to the fates of some favorite returning characters. If Sony wanted to kick things off with a bang, they certainly couldn’t have done much better than this new The Last of Us 2 trailer. Demonstrating some ridiculously impressive facial animations, Naughty Dog took us on a stark journey from an intimate barn dance kiss to brutal killings and the will to survive. Our first look at gameplay shows off on-the-fly interactions as Ellie desperately scavenges items around her during combat, finishing opponents in shockingly violent and messy fashion. Just watching the trailer was nerve-wracking, so we can only imagine how intense the final game will be. With Sekiro and Nioh 2 also on display, 2018 almost feels like the year of the samurai. Exhibited at Sony’s conference, the PS4 exclusive Ghosts of Tsushima wowed us with its jaw-dropping rendition of 1200s Japan. Set during the Mongol Invasion in 1274, Ghosts of Tsushima is a hack-and-slash adventure of composed nature. Combat is swift and lethal, with protagonist Sakai often dispatching enemies in a single, well-timed blow. The trailer gives us a good look at some open world exploration on horseback before dropping into tense stealth and combat sequences from the storyline. Actual gameplay footage of Death Stranding? It couldn’t be. The latest trailer for Kojima’s captivating-yet-confusing new game starts to give us a glimpse of what we might actually get up to as Norman Reedus’ delivery man Sam. Aside from traversing beautiful landscapes, we see Sam equipped with a rifle and hiding from more sound-tracking, invisible creatures. We’re also introduced to two new female characters and finally get a glimpse of the exact purpose that eternally recurring baby serves. Let’s be real though, we’re still pretty lost. News of the next Assassin’s Creed may have leaked out ahead of E3, but that certainly didn’t prepare us for just how gorgeous Odyssey would be. Sending us back to Ancient Greece, Assassin’s Creed Odyssey will let us choose between a male and female lead, hunt down mythical creatures, engage in more involved dialogue choices and even romance other characters. Combat has been fleshed out and Naval battles also make a return in what looks set to be the finest entry in the series yet.